Raising environmental awareness is an extremely important part of “Conserving the Barn Owl and its environment”. In the UK, millions of tonnes of paper is used each year and only a small percentage is recycled. 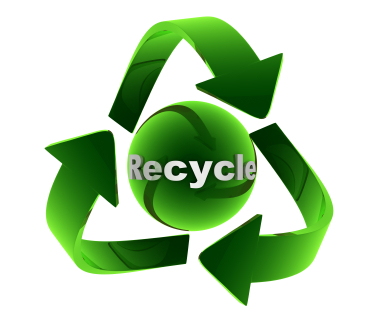 By purchasing recycled paper products we can all reduce landfill, cut imports and save energy. If you are interested in facts about recycled paper there are more statistics and ideas at Love to Know. We re-use paper by printing on the back. It is then shredded, which deals with the issue of sensitive data and provides bedding for casualty birds. The rest is composted or sent for recycling. Wherever possible we buy recycled or sustainably sourced stationery materials. We also try to source our supplies from local companies to reduce haulage costs. Much of our post goes out in reused envelopes and we sell our own re-use labels so everyone can reuse old envelopes again and again. All the new envelopes we use are made from at least 50% recycled paper; the majority are 100% recycled. We also collect and sell all our used postage stamps to raise funds for our work. Miles of toilet paper is used each year in workplaces and homes, at the Trust we can’t see how anyone can justify cutting down trees to wipe bottoms, so we buy recycled loo paper. Our kitchen rolls are recycled too. Our computers, printers and the microwave are turned off at night. Did you know that a microwave oven clock uses as much energy in 24 hours as it uses in 7 minutes of cooking time? We use fluorescent tubes and low energy light bulbs for lighting, which are very economical. The used tubes are disposed of with care to ensure the gases they contain do not harm the environment. Most of our outside lights have sensors which mean they only come on when needed. The organic milk, tea and coffee used in the office is either local or fair trade and the cleaning products we use (like washing-up liquid) are all biodegradable. Whenever we can we use reclaimed timber for construction projects and we source sustainably produced timber for all our nestboxes. The Environmental Transport Association (ETA) provides all of the Trust’s vehicle road rescue cover – and we are able to offer Friends of the Trust a discount on their ETA membership. Our vehicles are all chosen for their fuel economy and regularly maintained to keep them as efficient as possible. Staff who live close enough, walk or cycle to work. Our Barn Owl themed ‘green living’ shop, offers eco friendly items and gifts. Or choose from our Help Barn Owls range of virtual gifts – choosing the email option saves paper, delivery and packaging and is more eco-friendly while raising more funds to support our work. 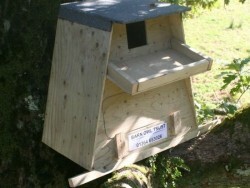 All our owl and small bird nestboxes are hand-made here at the Trust in Devon, built from long lasting, FSC certified, sustainably produced timber to our safe designs which have been tried and tested over many years. We sell a wide range of affordable gifts and useful household items, either hand-made by us here in Devon, or carefully chosen from ethical, planet friendly & fair trade sources, such as pens made from 70% bio-degradable corn starch, pencils made from recycled used plastic cups, and pet bowls made from recycled bottle tops. We make our own ‘owly’ bookmarks, colouring sheets and calendars and our greetings cards are printed on recycled card. We offer recycled paper owl notepads designed here at the Trust . More about how we use your money. We started raising funds from recycling way back in the 1980’s! Old cars – via Give a car who will come and take away your car at your convenience(!) and pay us for it! Old mobile phones and cameras. Coins and bank notes (it helps if you can tell us the country of the currency). The items below can all be sent to us or directly to Stamps n All who will send us the proceeds (make sure you say you want the Barn Owl Trust to benefit). Used stamps, pre-1970 used envelopes with stamps left on, postcards complete with stamps, first day covers. Medals, badges, precious metals, jewellery (broken or whole), watches and old keys. There are also other items listed on their website and large quantities (normally 10kg to 25kg per box) can be collected from anywhere within the UK and some European Countries by special arrangement. They can also provide boxes if you want to set up a collection point at work or school. eBay for Charity is an easy way for buyers and sellers on eBay to support us and recycle unwanted items. Buyers can shop for items knowing they’re supporting a good cause. Sellers, whether they’re individuals or businesses, can donate a percentage from any sale to us and Gift Aid their donations. Our Giving without money page lists things we’re currently looking for and we’d be really pleased to receive, either new or second-hand. Over the years we have had some amazing donations of things people no longer wanted, from caravans to cameras, bubble wrap to rakes and brushes. Please have a look to see if you have anything we could use. Each UK household produces over 1 tonne of rubbish annually, amounting to about 31 million tonnes each year; on average every person throws away their own body weight in rubbish every seven weeks. The average dustbin contains enough unrealised energy for 500 baths, 3,500 showers or 5,000 hours of television. If you buy your milk in glass bottles, these can be re-used an average of 13 times before recycling. The energy saved from recycling one glass bottle will power a 100 watt light bulb for almost an hour, a computer for 25 minutes, a colour TV for 20 minutes, or a washing machine for 10 minutes, so it is definitely worth doing. Over Christmas as much as 83 square kilometres of wrapping paper will end up in UK rubbish bins, enough to cover an area larger than Guernsey – try to unwrap your pressies so you can reuse the paper or use coloured pages from magazines. Producing steel from recycled material saves 75% of the energy needed for steel made from virgin material and every steel can is 100% recyclable. In fact, steel can be recycled over and over again and made into products like bicycles and of course new cans. A recycled aluminium can saves enough energy to run a television for three hours and if you recycle one today it can be made into a new can, filled and be back on the shelf in just six weeks. The effect of going green at work can be even more dramatic! Try and persuade your workplace to buy recycled products, items that can be repaired rather than disposable ones and of course to recycle their waste. As more companies insist on recycled products, more suppliers will offer a wider range and prices will come down. By buying items that are better quality and more durable, over time we reduce our purchase costs and our landfill impact. Buy ethical and environmentally friendly items from our Barn Owl themed ‘green living’ shop! Buying low energy light bulbs. Not leaving TV or computer screens on standby. Making sure we turn off lights and computers rather than leave them on overnight. When we need a new appliance like a fridge or a washing machine looking for one marked “Class A energy efficiency”. It may be more expensive to buy but over time the energy savings should recoup the extra cost. Using less energy makes economic sense as well as helping the environment. There are now lots of furniture recycling schemes so when we’re thinking about replacing our household goods we try to contact a local one and see what they have, or at least offer them our old goods rather than sending them to landfill. The Furniture Re-use Network (FRN) should have details of your local schemes. If we’re clearing out and have any tools, including hand sewing machines, that need a new home, Tools for Self Reliance might be able to use them to help people in Africa earn a living. Their website also has links to other organisations that recycle gardening tools and bicycles. There are loads of ways we can help to conserve the environment and one of the most powerful is choosing wisely how we spend our money. Profit is a great motivator for change and companies do respond to consumer pressure. If we all try to make sure that at least some of our purchases are ethical and environmentally sound, it really will make a difference. We try to shop locally whenever possible and choose local products. Both will help reduce transportation costs and pollution. Buying products with less packaging or with packaging that can be recycled and just remembering to take our own bags with us will help! We live in a highly mobile society. This produces a huge amount of CO2 and contributes to global warming. Whether you drive or fly you can contribute to a carbon neutral scheme to balance out your CO2 emissions. The Environmental Transport Association (ETA) runs a carbon neutral scheme you may like to check out. Our roads are saturated with traffic and these days more children and adults are suffering from asthma and other bronchial complaints. Try and avoid single occupancy car journeys wherever possible. Local authorities and some web sites operate car-sharing schemes. Lobby for better public transport. Walk the children to school rather than drive, especially short distances, even if you drive some of the way and only walk the last 100 yards, it gives the children more exercise and makes the roads around the school much safer. Suggest interest-free loans for employees to buy bicycles (which can earn tax benefits). How does all of this help Barn Owls? All things are connected and Barn Owls, humans and other living things can only thrive if our planet is healthy. Hopefully this page will give you some ideas for reducing the impact of your own home or workplace. Perhaps you could support us by helping to raise funds through waste recycling, maybe even set up a collection point in your office, school or place of work? Become a Friend of the Trust and help us to continue to care for Barn Owls and to raise environmental awareness – Together we can make a World of difference.